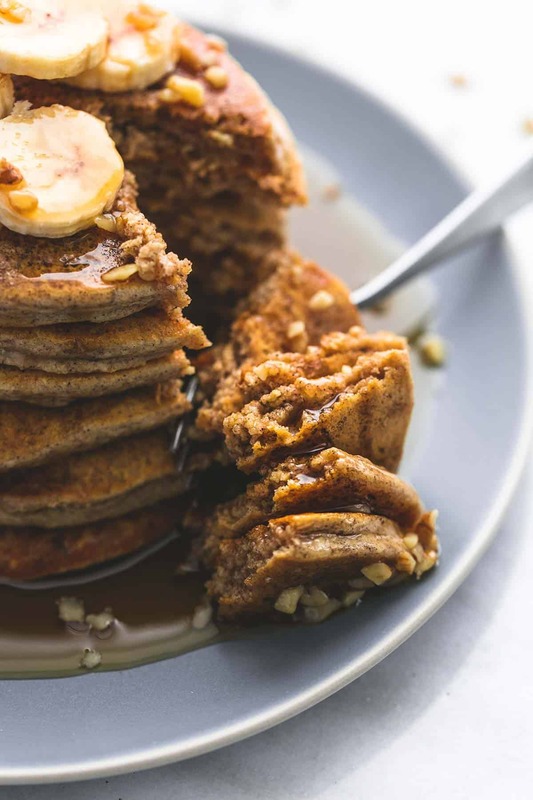 Easy oatmeal pancakes are a great way to get a healthy start to your day and a delicious way to sneak more protein into your diet. 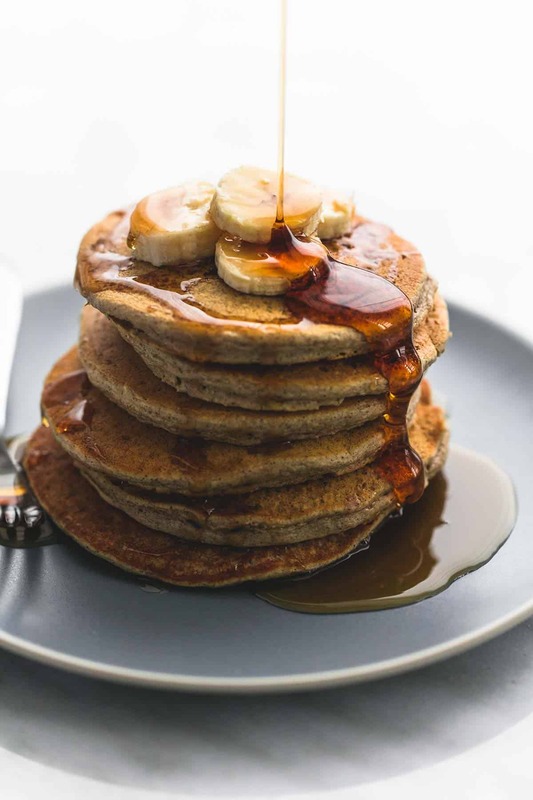 If you love pancakes for breakfast, try Banana Bread Panacakes, Blueberry Oatmeal Pancakes, and Perfect Pumpkin Chocolate Chip Pancakes. I used to dread mornings. Seriously not a morning person at all before I had kids. Now, with little ones waking up bright and early excited to see me in all of my morning glory with a messy bun, no makeup, and sweatpants, mornings might just be my very favorite part of the day. My twin toddlers (did I just say that?! When did my babies become toddlers???) usually sit and play quietly, or “talk” to each other in their cribs until I come to get them in the mornings and as soon as I open the door they are running for the stairs, eager to scoot themselves downstairs and get the day started. We always start off our day with a good breakfast, it makes all the difference in our routine. 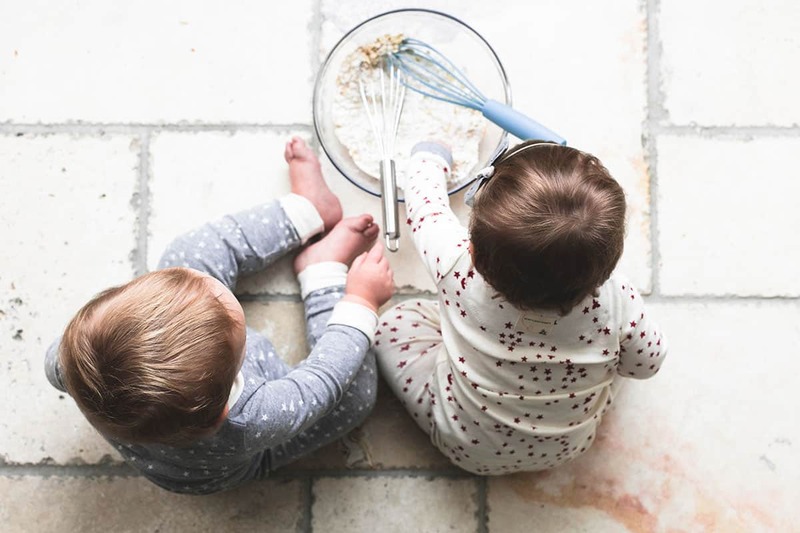 They’ve always loved to watch me cook and now that they are getting a little bit bigger, it is so special to have them help me in the kitchen when I’m working in the kitchen, doing something I love with these little people I’m so crazy about. My twins are obsessed with pancakes so we make them often. Even though I would say they’re really good eaters and not too picky, they still struggle with meats a lot of the time (I think it’s the textures that they just aren’t too fond of quite yet) and getting protein into every meal can be tricky so I like to sneak it in any way I can. Adding milk to our meals is a simple, delicious and wholesome way to give my kids a natural source of high-quality protein. 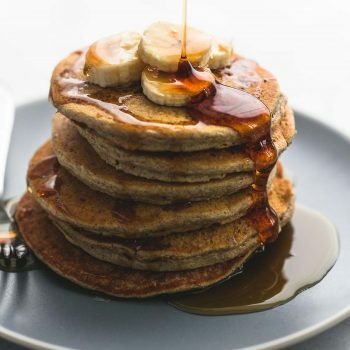 One way I do this is by using milk in my favorite oatmeal pancakes recipe. 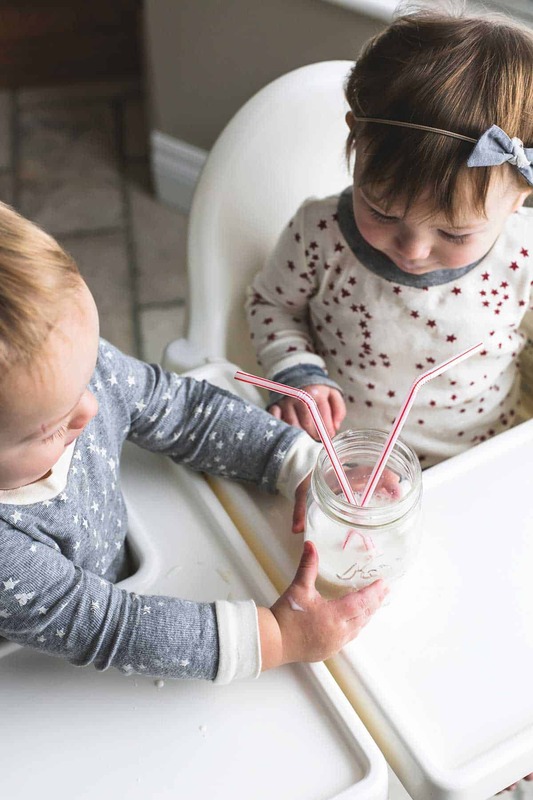 After they pretty much inhale their pancakes, my kids each have a glass – or bottle – of milk. The kids both absolutely love milk and they can hardly even wait for me to get it out of the fridge before they start begging for some. 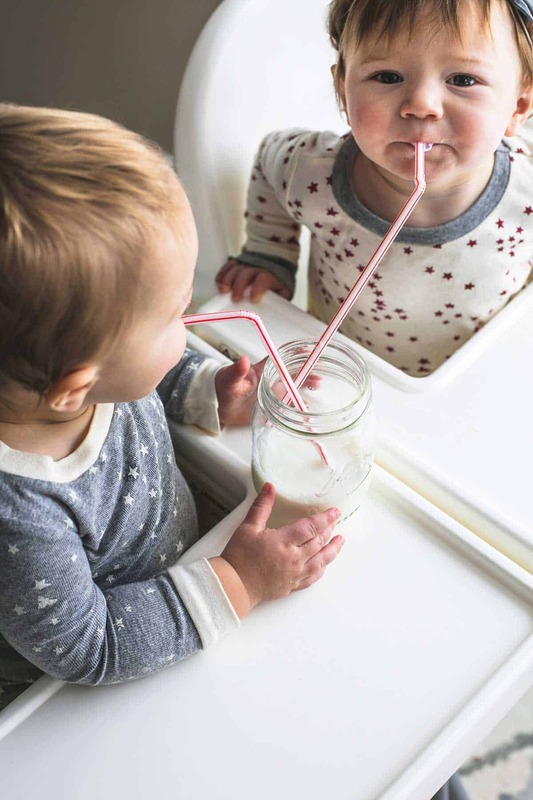 An 8-ounce glass of milk has 8 grams of high-quality protein and a delicious protein-filled breakfast is key to fueling my extremely energetic kids through the day so I am thrilled that they guzzle down a full glass every morning. A couple of weeks ago we took the kiddos on their first cruise and we had to do a little research before the trip to make sure we were going to be able to have easy access to milk every morning because our kids seriously can’t move on with their day until they get their milk fix. They love it that much! Just about as much as they love my easy oatmeal pancakes topped with bananas and some maple syrup. Stir together milk and vinegar and allow to rest for 5 minutes. Combine flour, oats, sugar, baking powder, salt, baking soda, and cinnamon in a blender and pulse several times. Add milk mixture, oil, egg, and vanilla to blender and blend until smooth. Use a 1/4 cup measuring cup to pour batter onto a greased griddle, skillet, or pan. Cook over medium heat (about 275 degrees) until edges look "dry" and bubbles form and pop in the batter. Flip over pancake and cook for another 45-60 seconds until browned on the second side. Repeat with remaining batter. 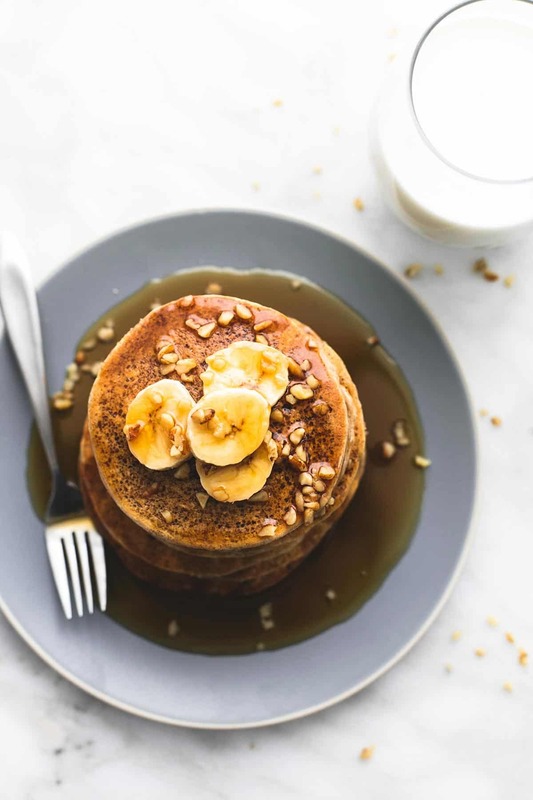 Serve pancakes immediately with your favorite toppings or freeze in airtight container and reheat in the microwave when ready to serve. This recipe is in partnership with Milk Life. Be sure to follow on Twitter, Facebook, Pinterest, and Instagram for more delicious recipe ideas. Use #MyMorningProtein to share your own families’ morning protein routine and enter the My Morning Protein contest to win a year of free milk. Tiffany!!! Ohmygosh! I LOVE that your babies are in this post!!! So. Freaking. CUTE! Aw thank you so much Emily!! 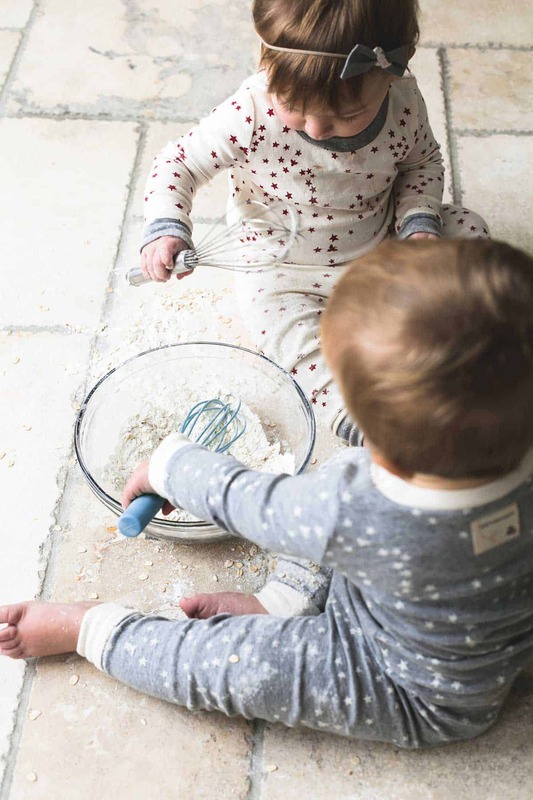 These kidlets make big messes but I don’t mind – they’re too much fun ha! So funny about your kids loving milk. My husband requested from our waiter on the first night of our cruise that he have two glasses of ice cold milk every night with his dinner. The waiter thought it was hilarious that a grown man wanted milk with his dinner, but every night he presented my husband his “white champagne” as he liked to call it. My family loves their milk and we go through 5 gallons in a week! Love these! Made them today. For a lower carb version, could I substitute almond flour for the all-purpose flour? Hi Laura- I haven’t cooked with almond flour, but I am sure that it can be done. Make sure you get familiar if the amounts need to change or anything. Sorry that I’m not more help with this one! Definitely let me know how they turn out if you do use the almond flour! these are good pancakes! I used whole wheat flour. Also, instead of cinnamon (Allergy) used ginger and cloves. Thank you for the feedback! I am sorry to hear that you weren’t completely satisfied with this recipe, Boslie!